Get your chance to save money with printable coupon at Jockey store locations in the United States and online on official Jockey website. 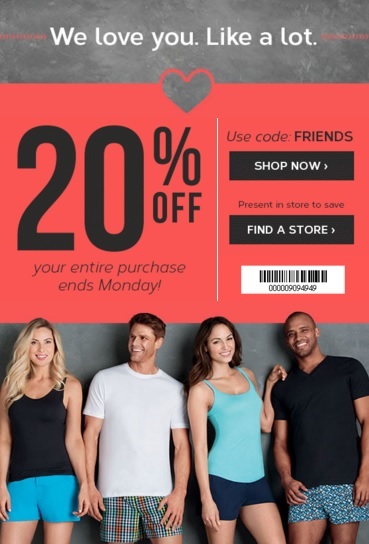 Receive 20% discount on your entire purchase! Only hours left, so don't hesitate. Source of the information is Jockey. For more details about the sale visit your nearest Jockey location. Offer expires today 02/15/2016.